Let’s just say that our arrival wasn’t what we expected. The violent gusts of wind, mixed with sideways rain, that greeted us the instant we set foot outside the Keflavik International Airport terminal exceeded even the expectations we had already set for Icelandic fall weather. The cold cut right through the clothes that had sufficed perfectly in autumn-styled Prague and the immediate need for winter headgear became obvious, as we waited for the rental-car shuttle bus in a rather poorly-constructed outside holding area. 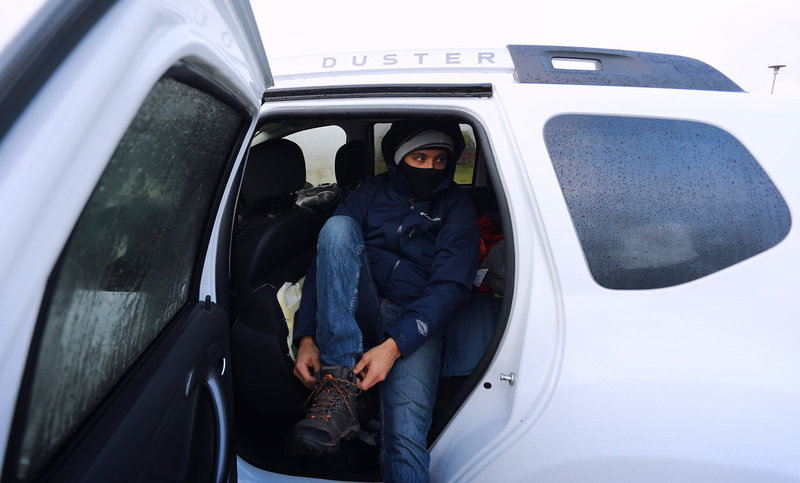 Once inside the rental-car office, as we were finishing up the paperwork for our Dacia Duster SUV, the man at the counter inquired as to our plans for Iceland. We told him that we planned to camp our way through the south of the country, to which he instantly replied that we will be sleeping in the car tonight. It seems that the coast was enveloped in a heavy storm. Iceland was extending her welcome that looked more like a challenge: “Just how badly do you want to see the sights this time of year?”. It was already midnight when we headed to our SUV to load up the luggage and get accommodated with what would also be our hotel room for the night. 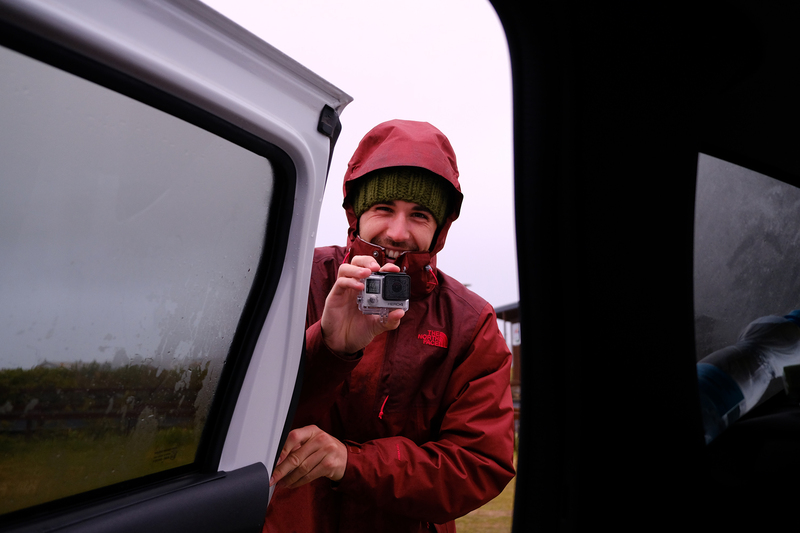 The drive on 41 and then south onto 43 toward Grindavik (where we were to spend the first night) was equally tumultuous, as the high winds swung our relatively large SUV left and right and were punctuated by almost total darkness. Guided by our offline maps, we made it to Grindavik in about thirty minutes and were easily able to locate Tjaldsvæði Grindavíkur, AKA the Grindavik campsite. We found a parking spot next to the few campers and cars that were already in the lots, and got to rearranging the car, so it would serve as a sleeping area, as well as storage for all our gear. We quickly discovered that it took a considerable effort to hold on to the car doors, to prevent the wind from ripping them out (a common problem, apparently, as were promptly informed by the customer service agent at the rental-car office, as well as the warning sticker on the car’s dashboard). If the wind takes a door – you pay for it. 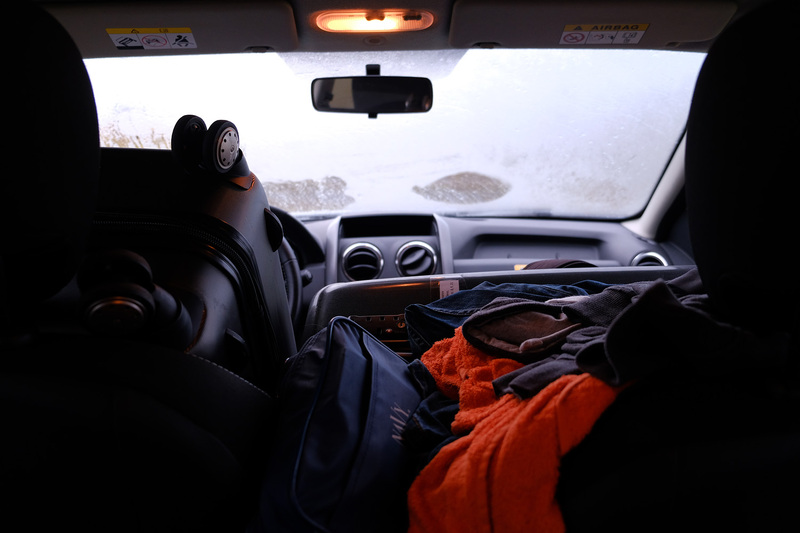 Given the already sky-high cost of renting a car in Iceland, we made extra sure that this would not be happening. One person would hold the door, while another moved things around. 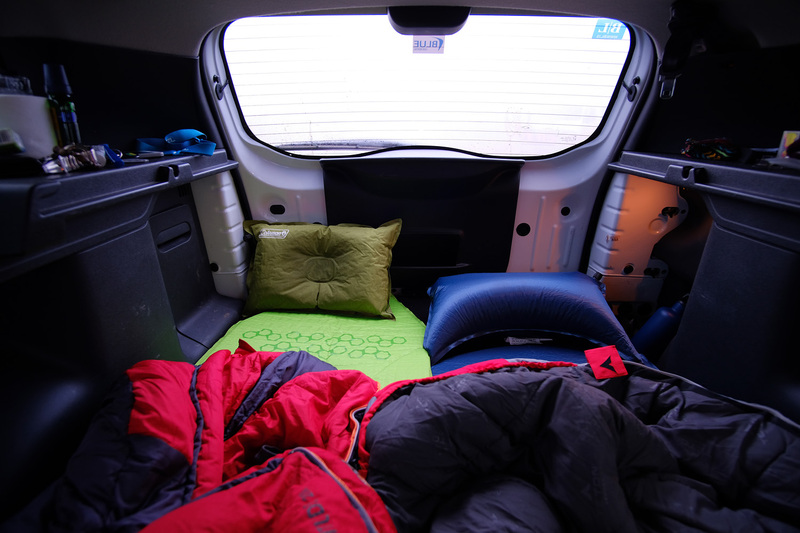 Working in this way, we managed to convert the Dacia into some semblance of accommodation for the night, stuffing everything aside from sleeping gear onto the front seats or under them. There was no time or energy for pictures, showers or anything extra, nor did the weather allow it. 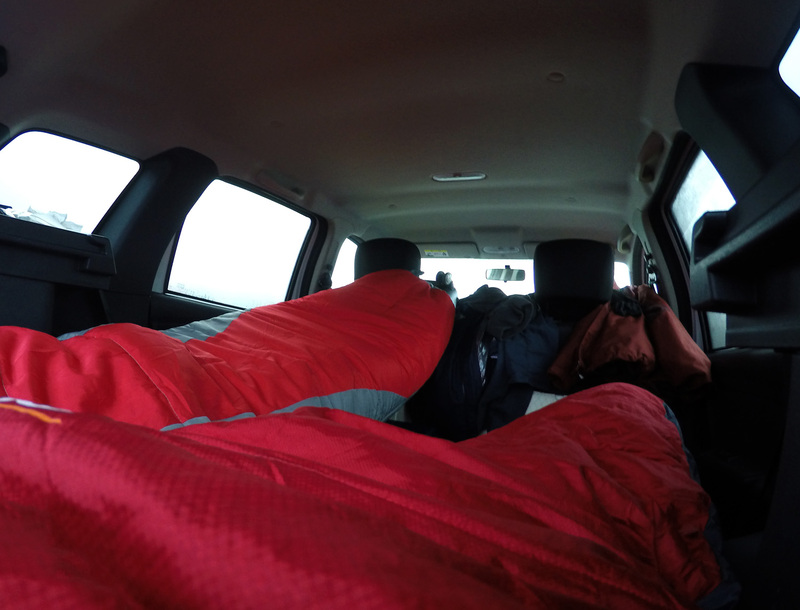 We crawled into our sleeping bags and commenced the first night of sleep in Iceland.